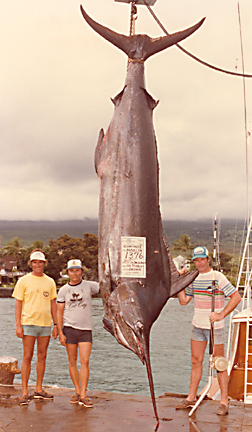 This fish is the reigning 130-lb class IGFA world record: a record that still stands after 20 years! Jay caught his monster blue marlin while fishing on the NO PROBLEM with Capt. Bobby Brown and deckhand Doug Haigh.